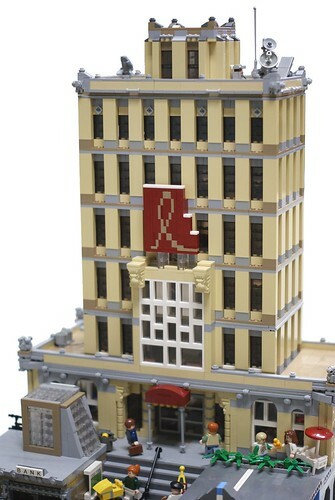 Brick Town Talk: Hotel High Rise - LEGO Town, Architecture, Building Tips, Inspiration Ideas, and more! I'm not sure what's cooler. The the cursive "L" or the fantastic window design below it. A very ornate, art-deco style building. Superb job! The build is almost a real model of a hotel, but the edges and the body are not that hard to achieve. It only requires patience to make the same structure.